Amanda and Grace (the 18 year olds) taught everyone else new phrases. 1. That meal was “on point”. Meaning it was satisfying and perfect. 2. That’s so dope. Meaning that’s cool. I don’t think it’s possible to have a bad day in Africa. Even if things don’t go as planned (which they never do…it’s AFRICA), the Lord ALWAYS has a plan and it usually turns out better than the best laid plans we have. Gotta start with last night…I called my mommy on FaceTime. She was in the McDonalds drive through ordering her coffee. I about wet my pants (along with the girls sitting at the table with me) when she squealed with delight and told the people at McDonalds that she was talking to her daughter in Africa. I love that woman. SO. MUCH. She dope. Today was not a day that most would consider a day on a mission trip. It might sound like a trip to the Galleria. We poured into the Rwandan economy. AKA We went shopping and got our nails done. I know what you’re thinking. We sent her money to do THIS?! Well, yes you kind of did. But, it was really a day of ministering to sweet people who love the Lord in a country that doesn’t have a lot of material things. When we walked in the mud “house,” there were 20-30 women sitting on the floor of the main room, which is smaller than half my classroom. Some had their children with them, one woman was breast-feeding her 1 month old, and one woman looked about 60. They were women of all ages and most likely all walks of life. 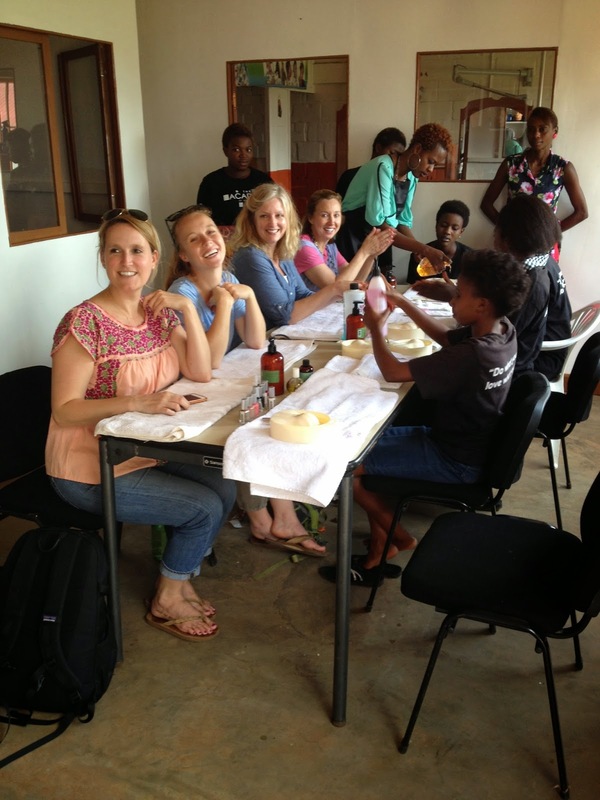 All of them were working on a project (making beads out of rolled paper, embroidering tiny beads, or sewing towels), while still trying to take care of their children. It was a humbling sight, to say the least. The dope part was that each item was marked with the name of the woman who made it. I picked up two dish towels that looked identical, but I wasn’t sure if I really wanted two identical things. The ladies working the store said that Vanessa, the one who made the towels, made 5 things in 6 months and most of her things hadn’t been sold yet, meaning she made very little money. Of course, after knowing her story I had to buy both of her towels. After lunch, we had girl time. 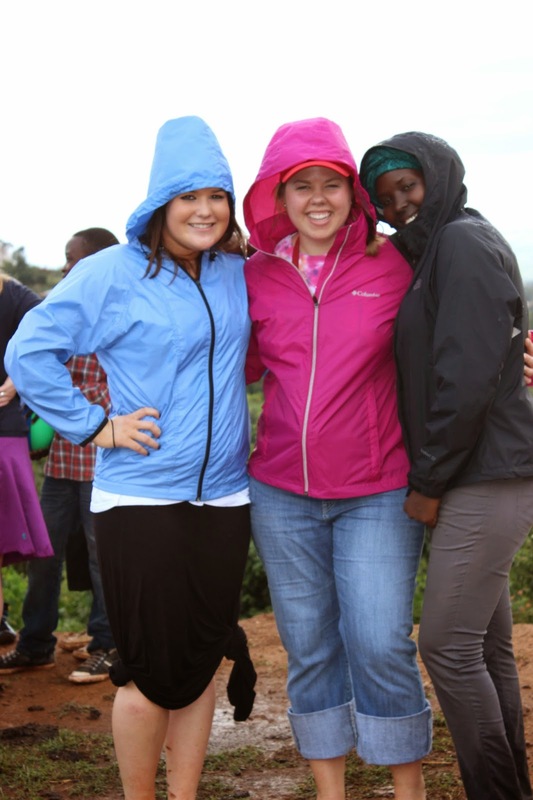 This is when it’s fantastic to be in Rwanda with 5 other women. On the New Life property, where the church and Kigali sponsorship are located, there are a few other buildings. One of the buildings is the Dream Beauty Academy. 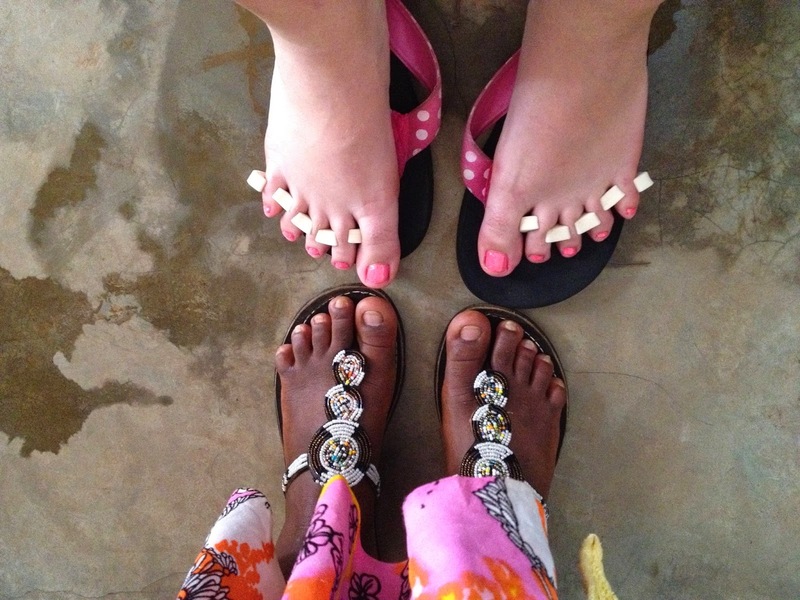 A few ladies got manicures, a few ladies got deep conditioning hair treatment, and Lincee and I got pedicures. 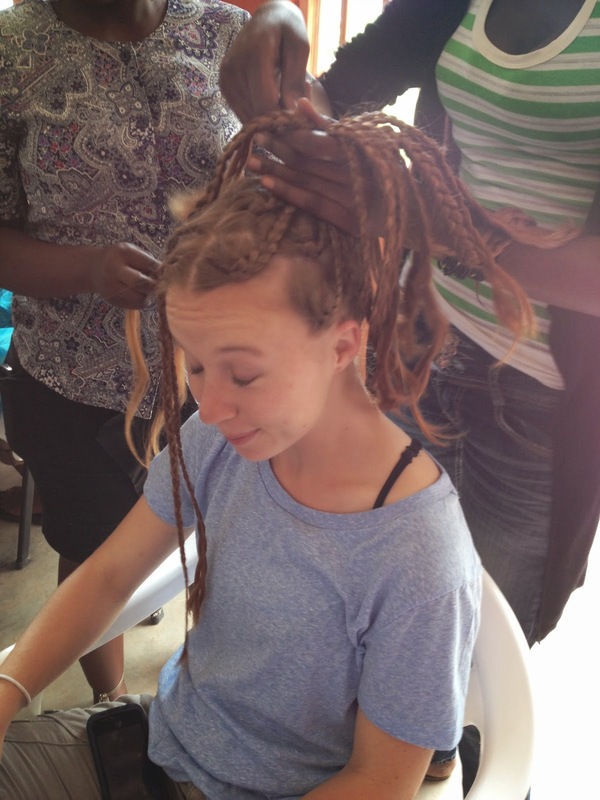 It was so fun to see these ladies have people other than each other to practice on and BONUS: women who have umuzungu (white people) hair. They were so sweet, but they were nervous and shaking trying to paint our nails. Lincee and I got to know Zenago and Lillian. They spoke a little bit of English, so we chatted as much as we could. All the ladies there were beautiful and sharing Christ’s love with them was a perfect afternoon. Amanda rockin the deep conditioning treatment. LJ was so excited to have her hair done! 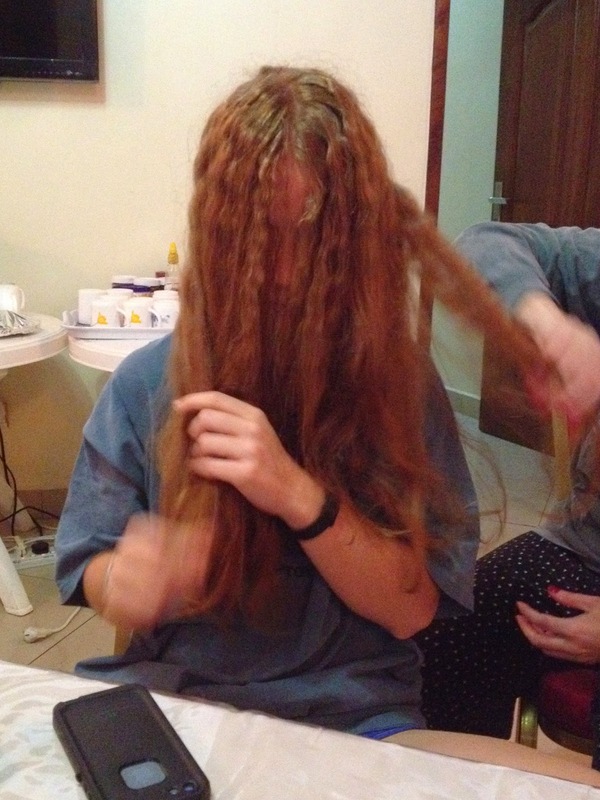 Then I became her personal hair stylist for the rest of the week. After that we had 2 home visits! THIS IS WHAT AFRICA NEW LIFE IS ALL ABOUT! Child Sponsorship is on point! Child sponsorship offers the children in Rwanda an education that they would otherwise not have access to. It also provides food and school supplies so they don’t have to worry about their basic needs and can focus on their education. It also gives them an education in Bible teaching, which is the most important part. Child sponsorship allows us to raise up a generation who loves Jesus and will continue to rebuild Rwanda with a Christ centered world view. The home visits are when the sponsor and the child get to meet each other. My home visit with Erick is on Friday. CAN’T WAIT! 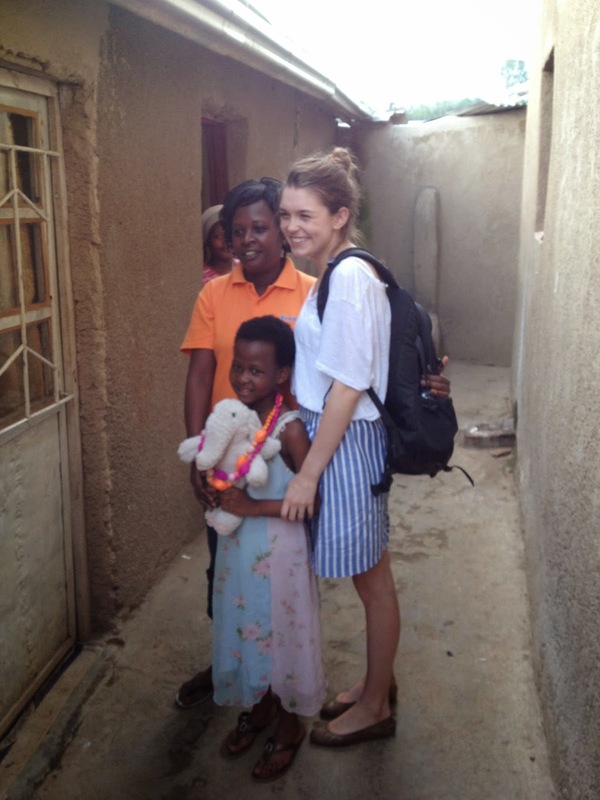 Lincee and Mackenzie (she’s here with our ANL team leader) had their home visits. Both had met their children previously, so they weren’t very long, but joyful tears and hugs were plentiful. My heart melted and made me even more anxious to meet Erick. We would be shocked in the US to see homes like this. Their homes are not dope. Neither home had electricity, lamps, or lights of any kind. We have NO idea what that is like. Even when we lose power, we have lamps, fire, flashlights, or generators. We are very rarely completely without light. They also only had two or three small rooms made out of hardened mud. My classroom, where I work not LIVE, is bigger than both homes from today put together. It amazes me how much child sponsorship will change these kids lives and their families, and even their communities because of the opportunities available to them now. God was kind of blowing my mind with this today. 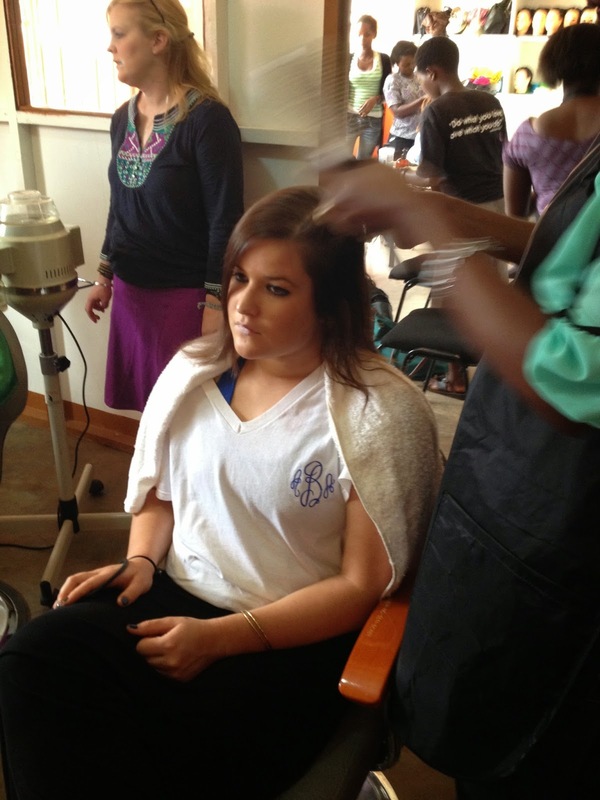 So today was a day of shopping and primping, but it was also an extraordinary time of ministering to the people of Rwanda. 1. I’m almost out of money…too much shopping. OOPS. 2. I have lots of presents. Gift giving is my love language. 3. Today, it rained as we were getting to the first home visit, which was down the mountain. So we walked/slid down the muddy mountain in flip-flops in the pouring rain and the boys were too prissy to get out of the van. We definitely got dirty = funzies! 4. Bill Gates is building a hotel and convention center in Kigali. The convention center looks like the top of an egg. Weird. 5. 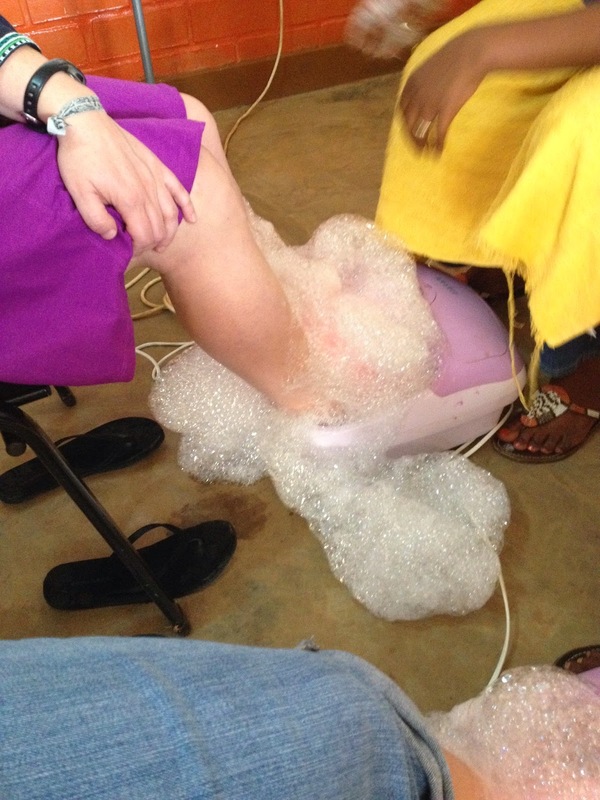 They put too much soap in our foot baths for our pedicures and we ended up with bubbles EVERYWHERE. Sorry for the dope and on point references. :) It happened all day long with hashtags, so I had to share with you. Love to you all from Rwanda! Meet John. He was our driver and pretty much the coolest guy ever.